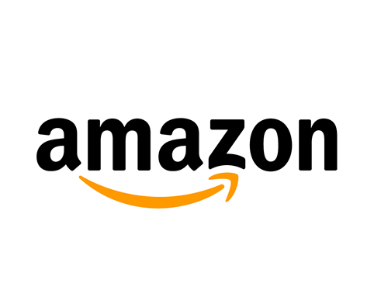 Amazon Offer: Get 15% Discount with Axis Bank Cards, Amazon has come up with a new offer. Now Amazon is offering flat 15% discount when you make payment with Axis bank card. This offer is valid between January 12, 2019 to March 31, 2019 – 12-13 Jan, 19-20 Jan, 26-27 Jan, 2-3 Feb, 9-10 Feb, 16-17 Feb, 23-24 Feb, 2-3 Mar, 9-10 Mar, 16-17 Mar, 23-24 Mar, 30-31 Mar. So follow below steps and avail this offer. The Offer is valid every Saturday and Sunday (“Weekend”) between January 12, 2019 to March 31, 2019 – 12-13 Jan, 19-20 Jan, 26-27 Jan, 2-3 Feb, 9-10 Feb, 16-17 Feb, 23-24 Feb, 2-3 Mar, 9-10 Mar, 16-17 Mar, 23-24 Mar, 30-31 Mar . How to Get 15% Discount with Axis Bank Cards? Then add any product in your cart. Then proceed to payment page and select Axis bank card. Complete your payment with Axis bank cards. 15% instant discount with Axis Bank Cards at Amazon Pantry Store on (Amazon.in, mobile site and app) on a minimum transaction of Rs.1500. Maximum discount is Rs.500 per card per weekend. Every Saturday and Sunday (“Weekend”) between April 6, 2019, to June 30, 2019 – 6-7 Apr, 13-14 Apr, 20-21 Apr, 27-28 Apr, 4-5 May, 11-12 May, 18-19 May, 25-26 May, 1-2 Jun, 8-9 Jun, 15-16 Jun, 22-23 Jun, 29-30 Jun. Offer details: 15% instant discount with Axis Bank Cards at Amazon Pantry Store on (Amazon.in, mobile site and app) on a minimum transaction of Rs.1500. Offer period: Every Saturday and Sunday (“Weekend”) between April 6, 2019, to June 30, 2019 – 6-7 Apr, 13-14 Apr, 20-21 Apr, 27-28 Apr, 4-5 May, 11-12 May, 18-19 May, 25-26 May, 1-2 Jun, 8-9 Jun, 15-16 Jun, 22-23 Jun, 29-30 Jun. Offer is applicable only on purchases made at Amazon.in (Mobile App/Mobile site/website). This Offer is valid on all Axis Bank Retail Credit and Debit Cards. This offer is not valid on Corporate Credit Cards and NRE Debit cards.